Super Impossible is the further development of the shell chair Mr. Impossible from Kartell. The worldwide first laser welded chair is marked by the seamless connection of two oval half-spheres. For Super Impossible Philippe Starck gave a glossy cover to the design with the different half-spheres. Contrasting the Mr. Impossible, the Super Impossible frame and seat are coloured according to the standards. The transparent look has been replaced by glossy colours. 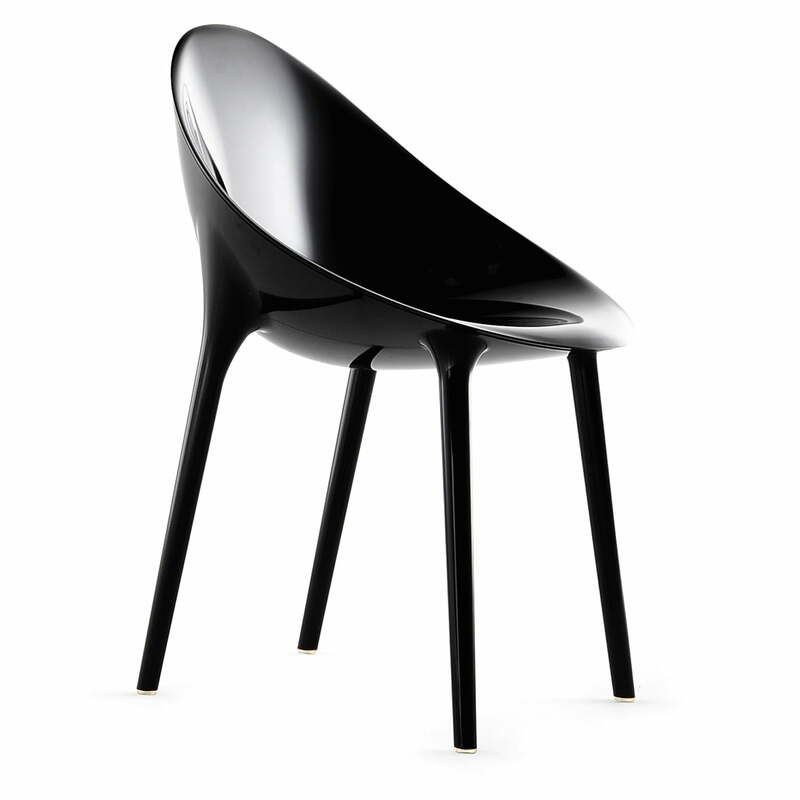 The form of the shell chair with its four slim legs and the inviting seat as well as the frame out of two oval half-spheres survived. The welding of the chair with the aid of the most modern laser technology make the usage of glues unnecessary and thereby guarantees a higher stability. At the same time this construction of the chair allows the realization of a two-colour design in which the seat differs from the frame and the backrest regarding the colours. 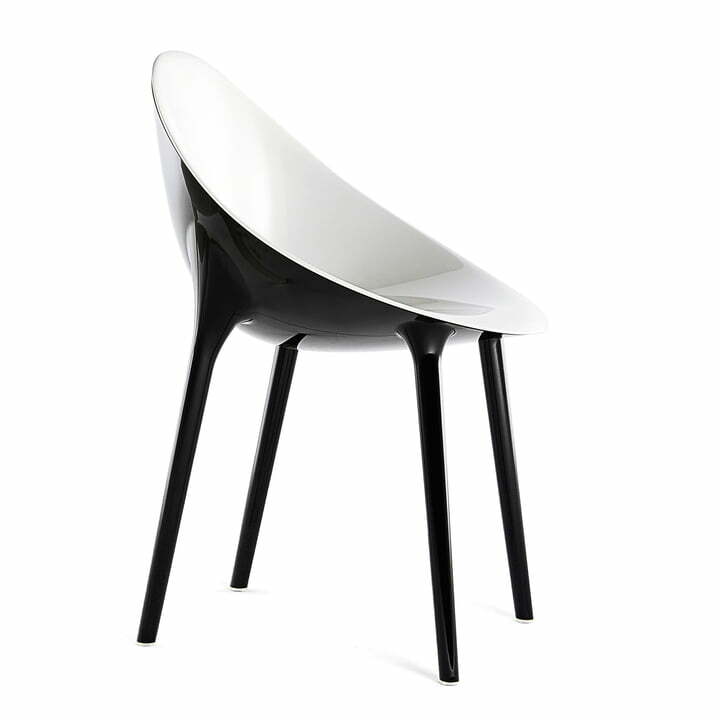 Kartell offers the shell chair Super Impossible therefore in a black glossy and an elegant two-colour version with a white seat accompanied by a black backrest. As material for the production Super Impossible, Kartell uses polycarbonate synthetics. This makes the chair shock resistant and weatherproof and adapted for indoor and outdoor use.